Does your home suffer from frequent insect infestations – whether cockroaches, spiders, silverfish, bed bugs, mites or more? Not only are the insect unsightly, they are also carriers of disease, damage the structure and foundations of your house, and – in the case of spiders – can be poisonous to humans. If you want to protect your family from the predations of these pests, then you’ve arrived at the right place. 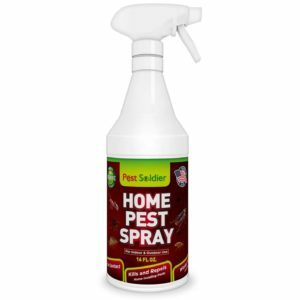 We’ve got just the product for you if you want to transform your home into a pest-free zone. 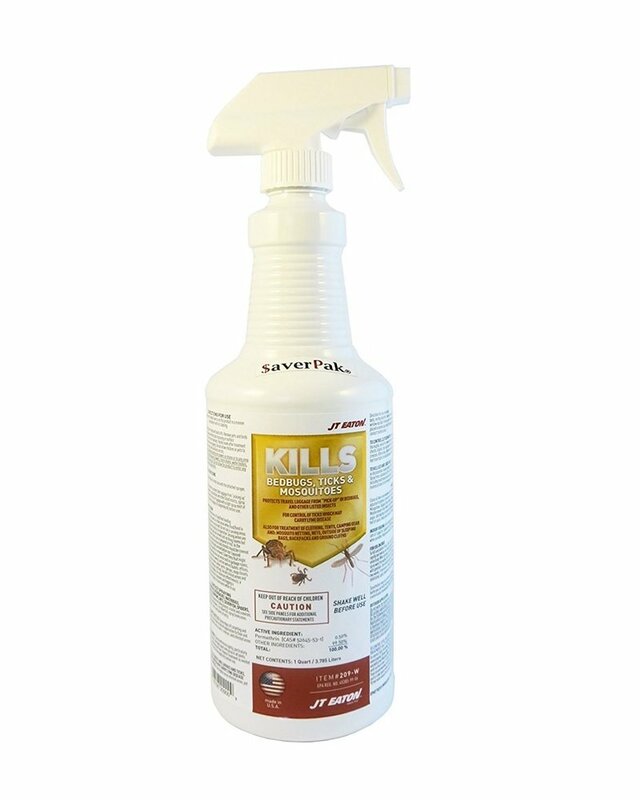 Read on as we explore silverfish repellent sprays – what they are all about, their many benefits as a form and method of pest control, and the things you need to consider in purchasing a suitable repellent for your needs – and then go on to review what in our view are the best products of this sort available on the market today. 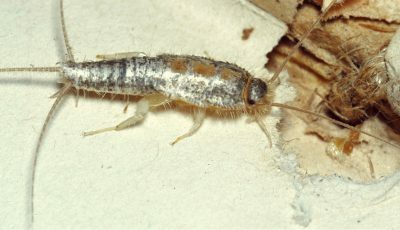 Silverfish are small, wingless insects that are considered a major household pest – due to their liking for paper materials, including that contained in books as well as the wallpaper covering our plasterboards. They also feed on cotton and rayon. Left unchecked, they have the potential to cause great damage to our belongings – and they are extremely ugly as well! Other pests you may have a problem within your home include cockroaches, poisonous spiders, ants, mites, bed bugs, ticks, lice, and lady beetles. Like silverfish, they are unsightly to look at, and damage your property – but some of this creepy crawlies are also dangerous to humans as well, being carriers of disease and infection and (in the case of spiders) the risk of poisonous bites. When it comes to tackling any of these blighters, the best solution is still a good insect repellent. Silverfish repellents are pesticide-containing solutions held within an aerosol can which you spray onto those areas of your house affected by pest problems. The bugs that come into contact with the pesticide – either directly or via the residue it leaves – are generally killed outright, as are their eggs and larvae. As well as killing insects immediately, silverfish repellents also deliver residual protection to your home, preventing most pests from making a re-appearance. In most cases, you will not have to spray your home with repellent again for at least 6 weeks to two months. Most repellents are also ready to go straight out of the can, requiring no further dilution. Sounds like a simple concept, right? Not so fast! There are a vast array of silverfish repellents now out there on the market, and they vary greatly when it comes to their quality and different features. Here are some of the things you need to take into account, to ensure you purchase the best silverfish repellent for your particular needs. First of all, you need to look at the active ingredients used in your repellent – ie. the chemicals that are actually responsible for killing the pests. Pesticides are not benign materials! Chemicals like DEET – a staple of mosquito repellents for many years – are now known to be toxic to humans and the environment. If you have children and pets running around at home, you don’t want them being exposed to harmful chemical residues when you spray your home with insect repellent! Luckily, there are now many ‘gentler’, eco-friendly silverfish repellents out there on the market that make use of organic, natural ingredients that are harmless to humans and most animals. Repellents that make use of materials like cedar and peppermint oil, permethrin, and pyrethrin-based repellents – these are the products you should be looking for. Be sure to look at what active ingredients are listed in your product’s specifications (included on the product labeling), and also keep an eye out for any ‘child safe’ type labels. If you have a bed bug problem in your home, then you will want a repellent that can be applied to your bedding and other home fittings – these are the areas where these pests like to dwell. Similarly, if you are out camping, you may feel that treating your tent, sleeping bag, mosquito netting, and other equipment with repellent is the best means of preventing pets from ruining your holiday. If you don’t want to bring pest back into your home via your suitcase when you go on holiday, then you want to be able to spray the inside of your luggage! In all of these cases and others, you want a silverfish repellent that doesn’t leave offensive odors or stains, and which can thus be applied to clothing, bedding, and other fabrics without damaging them. You want an insect repellent that is specified as odor-, and stain- or residue-free. Another thing to look for is whether your repellent of choice can be used both indoors and outside your house, or is specified for one domain only. 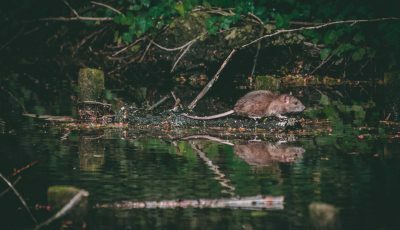 Depending on where pests are situated on your property, you will want to choose a product that is suitable for that domain. Finally, you want to be sure that you buy a repellent that delivers longer lasting, residual protection against future insect incursions – and not just eliminate the insects that are currently dwelling in your home. Otherwise, you will waste a lot of money purchasing replacement cans of insect repellent, and spray your home again and again. Again, check the product specifications of your repellent to see if it delivers residual protection against pests, and what the length is – six weeks to two months is the type of figure that is normal here. Having taken a look at what silverfish repellents are, their many benefits compared to other pest control methods, and what things you need to consider in purchasing a repellent that is suitable for you, the time has come to take a look at some of the repellents actually out there on the market at the moment. Read on as we take you through the best of what the market has to offer in the way of silverfish repellents at the present time. If you are struggling with the task of finding a repellent suitable for your needs, then this guide will make your shopping task a lot easier – if you want the best silverfish repellent going around, then these are the products to choose from. So without further ado … let’s look at some silverfish repellents! Regardless of which silverfish repellent you choose to use, even the best product can end up being useless if you don’t handle it correctly. What’s worse, heavy insecticides and pesticides can be outright dangerous and harmful for you, your family, and your pets when mishandled, as many organizations such as the National Pesticide Information Center, point out. Don’t just spray the items that you want to protect but the access points that lead to them. The sad reality is that silverfish can consume a great deal of different things in an average household. And while, sure, you can specifically spray your favorite book or photo album to make sure that no silverfish will get close to it, a much more effective and efficient tactic would be to spray the nooks and crevices where silverfish crawl out of, as well as the direct pathways they use to get to their targets. Spraying around an area is another efficient use of a spray – it’s impractical to spray the hundred or so books you have on your bookshelf but you can easily spray around the bookshelf itself. Don’t spray too much. Especially if the spray is heavy-duty and includes a strong insecticide, overdoing it will be both pointless and unpleasant. Follow the instructions on the product to the letter for the best results. If you have pets or small kids in the household, beware that they may touch or lick the spray so use it accordingly. More natural, non-toxic options are better in these scenarios but even then you should exercise extra caution as to where exactly you’re spraying. Use protective gear while spraying. Both stronger chemical insecticide sprays and basic, non-toxic repellents aren’t really something you want to inhale or get in your eyes. In significant doses, a basic essential oils spray can be harmful as well. So, it’s best to protect yourself when spraying with goggles, a face mask, and a pair of rubber gloves. Protect you and your loved ones when enjoying the Great Outdoors with this permethrin-based repellent from J T Eaton. Effective against silverfish, mosquitoes, flies, ants, gnats, chiggers, crickets, wasps – and all the other creepy crawlies that make your outdoor camping experience a living hell, including the diseases they carry! – this is one insect repellent that’s just a little bit different. You see, rather than just spraying your exposed skin with it like a normal repellent, with this product you can also spray your clothes, luggage, and camping equipment – it can be used on fabric or plastic alike, this product will cause no staining or damage. Keep the airborne pests away whilst you are camping and hiking, and prevent bed bugs from finding their way into your home via your suitcase whilst staying in hotel rooms. The permethrin based formula (ready to go straight from the container, no dilution necessary) is completely odorless as well. This silverfish spray repellent comes in a 32 oz. (1 quart) a container that has the capacity to treat up to ten outfits or items of equipment (backpacks, tents, sleeping bags etc). In addition to spraying your clothes and gear with it, this product is also suitable for indoor or outdoor space spraying. It kills targeted insects on contact, but is also non-toxic to humans and pets – so if you’ve got children or animals roaming around then you can still use this product whilst enjoying security and peace of mind. It dries within two hours of application and is effective for up to six weeks (and six launderings) before re-application is necessary – this is one long-lasting repellent! All in all, this is a fantastic little insect repellent, effective against silverfish, mosquitoes and all other dangerous, disease-carrying bugs that put a dampener on your outdoor enjoyment. It’s also made from all-natural ingredients, is odorless and mess-free – JT Eaton’s permethrin-based repellent basically has everything you could ask for in a product of this sort. Well and truly recommended. 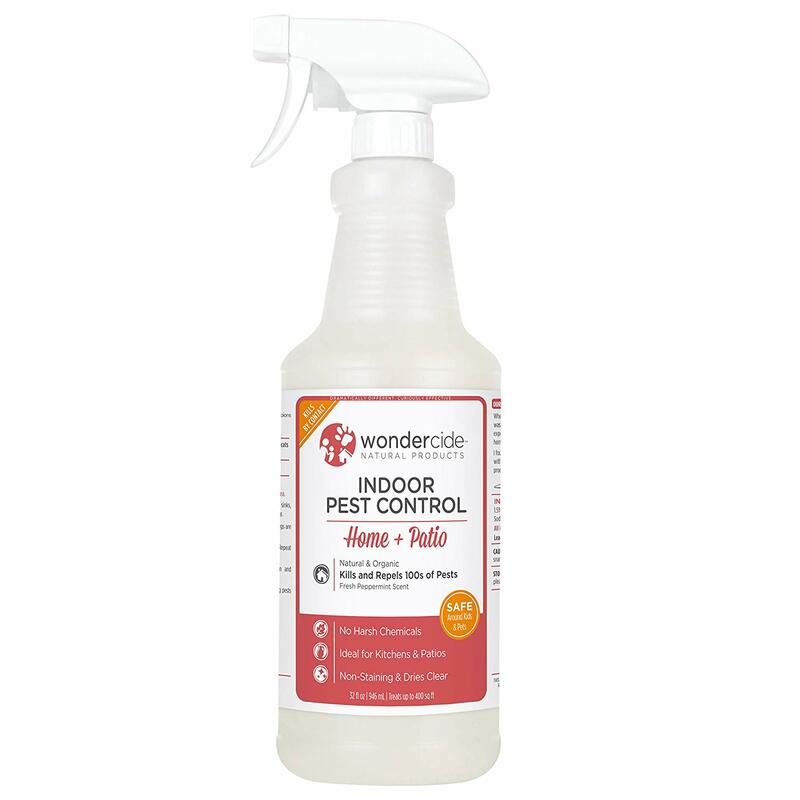 Say goodbye to silverfish, mosquitoes and other creepy crawlies that want to infest your home, with the Wondercide natural pest control spray. Ready to use straight from the bottle (no dilution necessary), this formula will kill – on contact – silverfish, mosquitoes, earwigs, ants, spiders, moths, fleas, ticks and more – in fact, this repellent is effective against over 100 different insects! Few insect repellent sprays are as comprehensive as this silverfish bug killer! Use it inside your house, or out on the patio – you can spray it on furniture, furnishings, and fabrics, it will leave zero stains or mess to clean up. And because the active ingredients in this product (cedar and peppermint oil) are 100 percent natural and organic, it is completely safe to spray around food in the kitchen, and those areas of the house inhabited by your children and pets. This particular silverfish spray offering comes in a 32 oz. bottle that treats up to 400 square feet of territory, or the perimeter of a home that’s 2000 square feet in size. 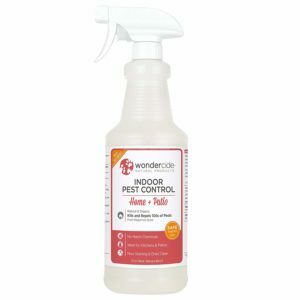 Finally, this silverfish deterrent is backed by a 100 percent money back guarantee – so if you are in any dissatisfied with the work of the people at Wondercide – you can return the product, and get a full refund no questions asked. If that isn’t a statement of confidence by the manufacturers in the quality of their product, then who knows what is! Equally effective both indoors and on your patio, this pest control spray will transform your home into a 100% insect-free zone, and it will do so using the only natural, non-toxic ingredients. This is one insect repellent that’s really worth your investment of time and money. 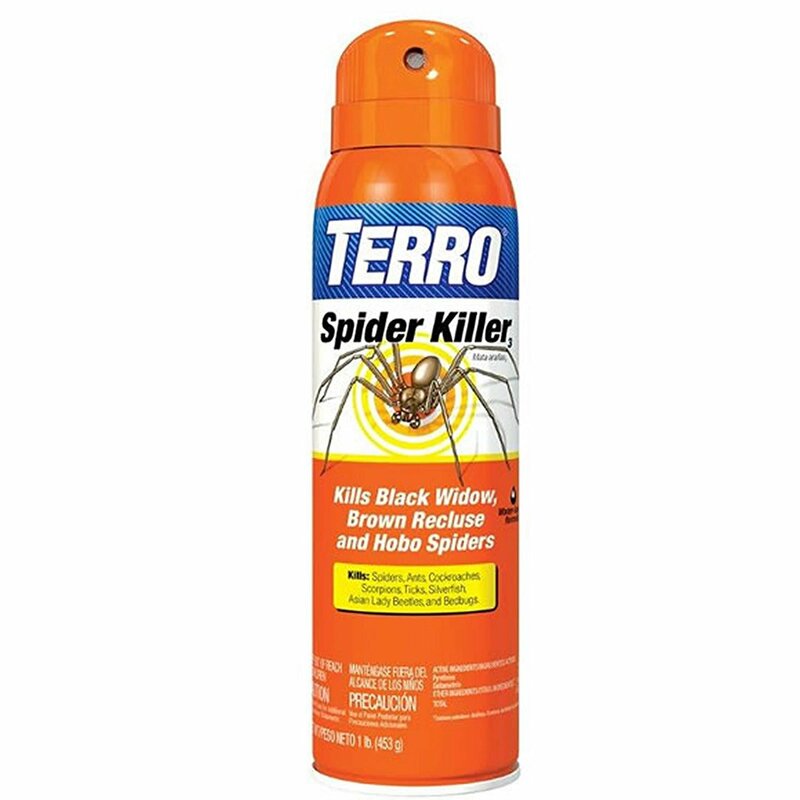 For a high quality, non-toxic and very affordable insect repellent spray, you can’t go past this offering from Terro. 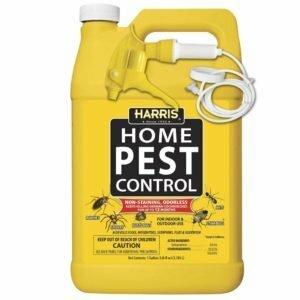 Whatever pest problem you’ve got in your home – silverfish, spiders, earwigs, cockroaches, bed bugs, scorpions, ticks, Asian lady beetles and more – this product will solve it. It delivers ‘dual protection’, that is it kills bugs on contact then delivers long-lasting residual protection as well (up to 12 weeks before re-application is necessary). The pyrethrin active ingredients are non-toxic and safe to use around children and pets, and the silverfish repellent comes in an easy to use a spray bottle that can be used inside your house as well as outside. Simply spray along all surfaces in your home, as well as into the cracks and crevices where pests love to hide – around windows and doors; under refrigerators and sinks; on the underside of draws, shelves; behind baseboards, and so on. It comes in a 16 oz. spray can that will provide plenty of coverage to your home. 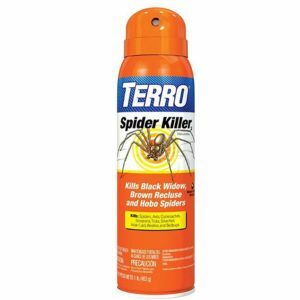 Use the Terro insect repellent spray around your home, and enjoy instant results when it comes to beating back the insect hordes – as well as long-lasting residual protection. Highly recommended. It is just about the best silverfish repellent going around at the moment. Very powerful insect repellent will deliver excellent results if the consumer reviews are anything to go by – get rid of silverfish bugs, fast, with this product! This non-toxic, odor-free insect repellent from Pest Soldier really stands out compared to most other repellents out there on the market nowadays. Not only is it exceptional in terms of the number of different insects it repels – silverfish, spiders, cockroaches, scorpions, earwigs, mites, stink bugs, fleas, ticks, bedbugs, and the list goes on – it also combines fast acting results (‘kill on contact’) with long-lasting residual protection for your home. AND it makes use of 100 percent natural and organic ingredients so it is completely safe to use around your family. For those of you with children and pets romping around the house, you will enjoy complete peace of mind when using this silverfish pesticide spray product. No-staining and odor free, Pest Soldier silverfish treatment products come in an easy to use aerosol can – simply spray all affected surfaces in your home, and inside the crevices and cracks where insects like to dwell. Last, of all, this silverfish bug spray is backed by a 100 percent, 60 days money back guarantee- if you are in any way unhappy with your purchase, then you can return this silverfish pesticide to the manufacturers and get a full refund, ‘no questions asked’! The fine people at Pest Solider have really hit a home run with this product of theirs’, it’s one of the best repellent sprays out there on the market today. Kills on contact and delivers long-lasting residual protection to your home. If you want to know how to prevent silverfish in your home, then here is your answer. Most reviews very favorable when it comes to the performance of this product – this is how to get rid of silverfish in your home! 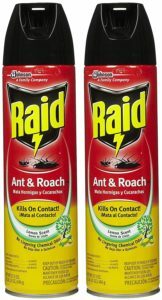 Kill pets in contact with this powerful insect repellent from Raid. It’s effective against all common household pests, including cockroaches, silverfish, earwigs, spiders, gnats, bed bugs, and more – protect your family against insect infestations, and the diseases that come with them. 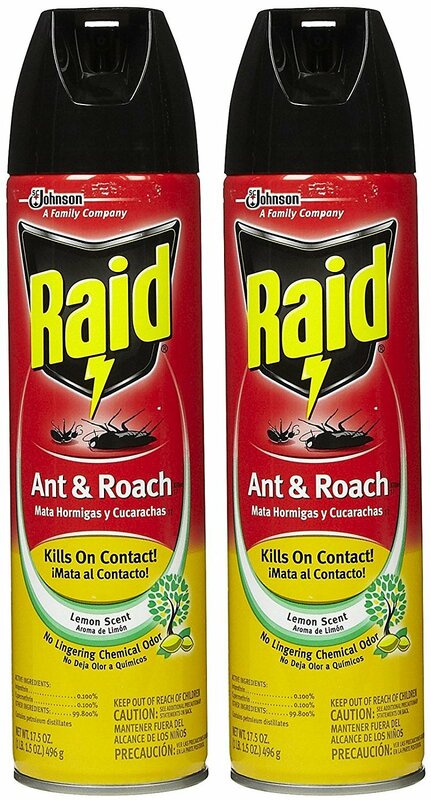 The powerful insecticide formula of the Raid Ant and Roach Killer Spray kills pests on contact and delivers up to 4 weeks residual protection against them as well. You will get a lot out of one 17.5 oz. bottle of this stuff! Spray directly on affected surfaces, and inside and around the books and crannies around your house where insects like to hide. It’s non-staining and mess-free, so you can also spray furniture, fittings, and fabrics without fear of damaging your belongings. Use inside or outdoors, this silverfish killer spray comes in an easy to use spray bottle – and leaves a refreshing lemon-scent behind; no unwelcome chemical odors to contend with here with this product. Effective against all manner of household insects, and leaving a pleasant lemon-scented residue, there are nothing but good things to say about the Raid Ant and Cockroach Killer. Go out and grab a bottle of this stuff for your home today. And delivers 4 weeks residual protection against them – this is how to get rid of silverfish in the house! Pyrethrin active ingredients not as eco-friendly as some others reviewed here. Here is one insect repellent that’s made from all-natural, non-toxic ingredients, yet which doesn’t compromise on performance. 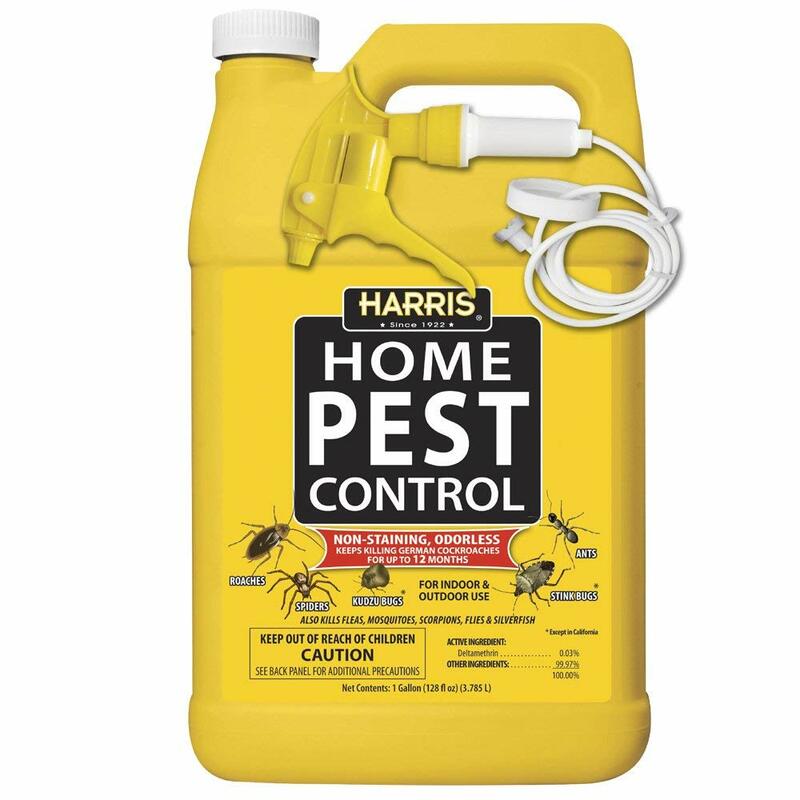 The Harris Home insect killer includes NO toxic chemicals like DEET, instead, the active ingredient is a natural compound known as deltamethrin – completely safe to use around children and pets, and in food preparation areas in your home. Despite its environmental credentials, this insect repellent is still extremely powerful. The silverfish repellent kills on contact all manner of common household pests, including silverfish, ants, spiders, cockroaches, mosquitoes, flies, ticks, fleas, scorpions and stink bugs. In addition, it delivers long-lasting residual protection -so you won’t have to keep spraying your home after the initial application. On top of that, this formula is odorless and stain-free, so you can use it on furniture, fittings, spray mattress and clothing – without fear that these household items will be damaged or stained. The 32 oz. spray can is easy to use and even comes with an extended trigger spray, so in addition to spraying all surfaces in your home, you can also reach into all those cracks and crevices where insects like to dwell. Delivering long-lasting protection against all manner of household pests, whilst being eco-friendly, and odor- and mess-free – those are the qualities you can expect of this silverfish insecticide formula from Harris Home. All in all, it’s one of the best products of it’s kind out there on the market today. Eliminate house invading pests fast, and keep them away for good with the Eco-Defense pest control spray. It’s effective against insects including cockroaches, ants, spiders, silverfish, earwigs, mites, stink bugs, fleas, scorpions and more. Not only does it kill on contact, it also offers long-lasting residual protection – so your home will remain pest free for weeks after the initial application. Not only that, but your home will also be free of toxic insecticides – this product makes use of a formula containing ONLY organic, natural ingredients. 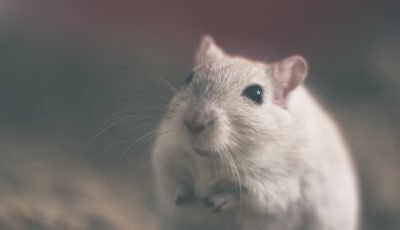 Do you have children and pets at home? Then this is the insect repellent for you! Enjoy peace of mind and security with the Eco-Defense pest control spray. Equally suitable for use indoors and outside the house, it is also odor-free and non-staining – so you can use it anywhere in the home, including the kitchen, and spray clothes, mattresses etc without fear of making a mess. Finally, it’s backed by a 100 percent money back guarantee – if you are in any way dissatisfied with this purchase, return it to the manufacturer and get a full refund, no questions asked. Despite being made from 100 percent organic ingredients, the Eco-Defense silverfish control products are just as effective as conventional DEET-based formulae. Go out and purchase one for your home today, and enjoy effective and eco-friendly pest control in YOUR home. EPA-approved, this pest control repellent from Orange Guard is one of the most eco-friendly products of this sort out there today. And it is no less effective at killing and repelling bugs. 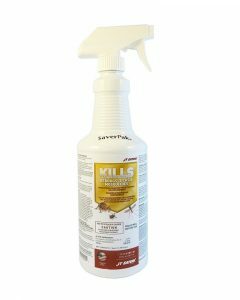 Whether it’s ants, cockroaches, silverfish, mosquitoes, fleas, ticks, mites, bed bugs or others – this silverfish pesticide spray will kill them outright and keep them away for weeks at a stretch. It’s equally suitable for use inside or outside of your home. There are no toxic ingredients like DEET contained in this product, so it is completely safe to use around food, children, and pets. The active ingredient in this product is actually orange peel extract (d-Limonene) – 100% natural and organic. Non-staining and odor free, this product can be sprayed on all surfaces in your home, as well as applied to clothes, bedding, mattresses etc. It comes in an easy to use a spray can. 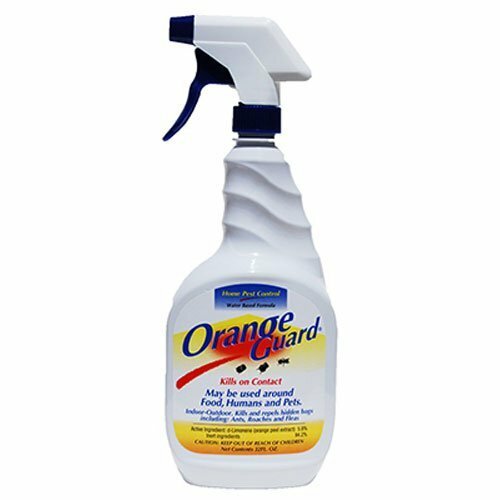 Equally effective both indoors and outside, the Orange Guard pest control silverfish killer spray will rid your home of insects forever, and all whilst having a minimal impact on the environment. It’s one of the best insect repellents going around right now. For instant protection against an extensive range of insect pests, combined with a pleasant cedar after-scent, consider the SLA repellent spray from Reefer-Galler. It kills outright ants, bed bugs, lice, beetles, cockroaches, silverfish, spiders, scorpions and other disease-carrying insects – as well as eliminating their eggs – and also keeps them away for good. In fact, one application of this product will provide up to 3 months’ residual protection against pests. And it contains no dangerous chemicals or toxins! The pyrethrin-based active ingredient is completely safe to use around children and pets, giving you ultimate security and peace of mind when using this product. Use it indoors or outside, spray upon all surfaces in your home, and into the cracks and crevices where insects like to dwell – no critter will make it past this insect repellent. It’s water based and has a pleasant cedar after-scent, so there are no stains or unpleasant odors to contend with here – you can use this product on your furniture, fittings, clothing, and bedding without fear of causing damage to them. Long lasting, mess-free protection against silverfish, scorpions, spiders, and other creepy crawlies is yours’ to experience with this formula from Reefer-Galler, make it part of your pest control arsenal today. It’s one of the best silverfish repellent products in town. Last but not least in this list of reviews, we have this all-purpose insect spray from EcoRaider. Is your home a beacon for silverfish, cockroaches, scorpions, ants, cockroaches, mosquitoes, bed bugs or other creepy crawly pests? Then give it a dose of EcoRaider insect repellent, the pests won’t know what’s hit them! Not only does it kill the pests outright it also keeps them away for good, delivering long-lasting residual protection so you don’t have to keep treating your home repeatedly. 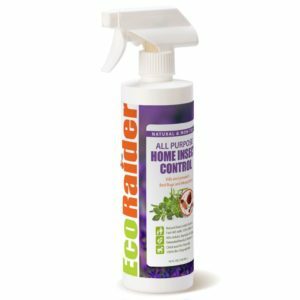 Simply spray all affected surfaces with this repellent, including tabletops, basins, under sinks and shelves – and into all the other nooks and crannies where pests like to hide. The pyrethrin-based formula is non-toxic and thus safe to use around children, pets and even in food preparation areas. It doesn’t leave any scent or odor either, so you can even spray clothing, bedding, mattresses etc with this stuff. We’ve reviewed some very fine silverfish repellent sprays in this article, and this offering from EcoRaider is another good one. It’s a fitting note on which to conclude this list of reviews. Is your home assailed by silverfish, cockroaches, bed bugs – or other annoying household pests? Then you may want to hit them with a good insect repellent. 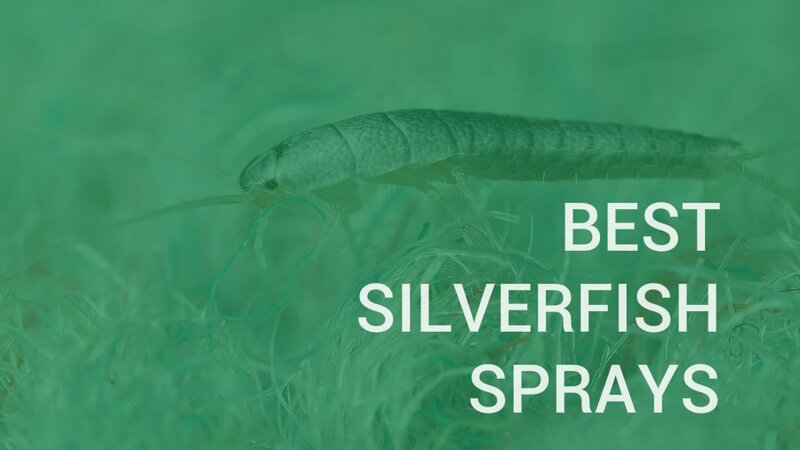 In this article, we’ve taken a look at silverfish repellents, including what they are all about, their many benefits – and then went on to review what in our view are the best repellent products on the market today. Hopefully, you find a product among this selection that’s suitable for YOUR needs – so you can transform your home into a pest-free zone as well.